​Bywater was started in 2009 with the goal of helping companies create remarkable experiences for customers and employees. By combining financial analysis and market insights, we have been able to help our clients successfully follow through on new marketing strategies. ​Our founder, Chris, has experience in engineering, investment banking, and managing within a fortune 500 technology company; as well as working internationally. He is also a fourth generation entrepreneur and actively works towards being a thought leader in this industry. This background brings a unique perspective to marketing as it allows us to view business situations analytically and systematically. Our financial view of marketing makes sure that clients are achieving sustainable growth in their business. ​Our clients include local governments, small businesses and large corporations. We’re proud to be able to help companies across industries and markets. Bywater Team & Midway Chamber members at Habitat for Humanity build. ​We believe in the power of marketing and connecting large organizations to small and economically disadvantaged businesses. Helping local businesses in our community leads to more jobs and can help in the fight to end disparities. We’re actively involved in our local community and industry through several organizations and we strive to be thought leaders on marketing and job growth. Prior to founding Bywater, Chris held management positions in finance, sales and operations in companies ranging in size from startup to Fortune 500. Chris worked at Royal Bank of Canada in Toronto, Newcourt Capital, an investment bank in New York, ADC Telecommunications, Fortune 500 technology company and medical device startup EPIEN Medical in Minneapolis. He has built an understanding of international business by working on over $6 Billion of transactions in more than 15 countries and managing a team on 4 continents. ​Chris has an MBA in Finance from Schulich School of Business in Toronto, a JD from Osgoode Hall Law School in Toronto, a Master’s Degree in Environmental Engineering and Bachelor’s Degree in Civil Engineering from Queen’s University in Kingston, Canada. 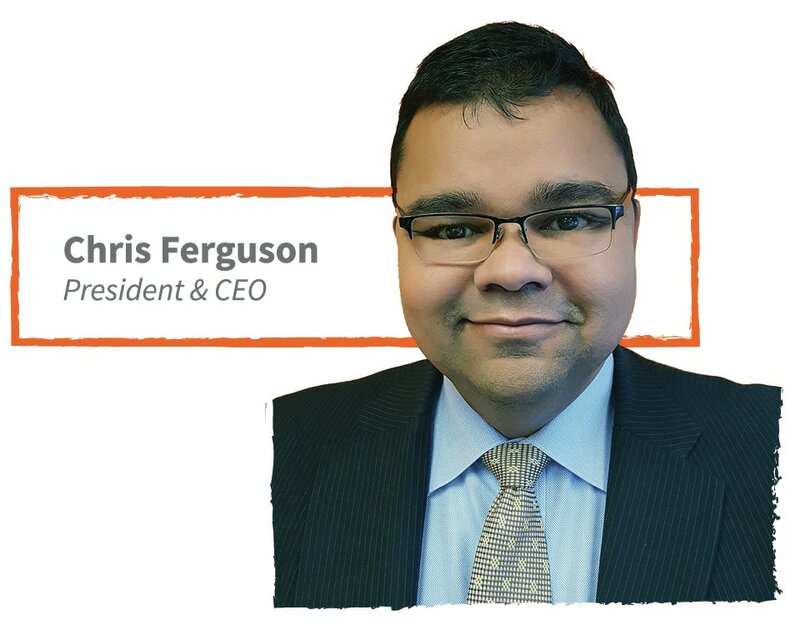 Chris serves as Chair of the Business Resources Collaborative, on the Board of Minneapolis Regional Chamber of Commerce, Midway Chamber of Commerce and Minneapolis Workforce Improvement Board. He lives in Eden Prairie, MN with his 2 sons and enjoys coaching their hockey team. Matt has a Bachelor of Fine Arts degree from Western Michigan University, a program ranked among the top 15% in the country. His focus is graphic design with extensive experience in Adobe Creative Suite. ​Matt has worked at Bywater since 2010. He helps create marketing strategies, brand management, social media strategy, and advertisements. He also creates all of the designs used in our projects, does brand redesigns, creates logos, and helps implement creative strategies for clients.